Hopefully as you’re reading this, you laugh to yourself – nothing could be further from the truth. Camping equipment, technology and lifestyle has evolved so far beyond this mid-century caricature that it almost doesn’t seem like the same activity anymore. Sure, we still have our families and friends to join us – and of course, we’re still enjoying our time in the great outdoors. This got us thinking. There’s lots of outdoor activities that have evolved, including one of our favorite – the picnic. Picnics take many shapes and forms. 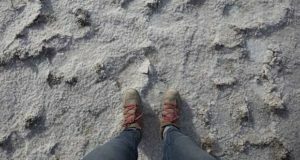 They range from the mid-day meal during a road trip, to a picnic table spread at the campsite – and everything in between. 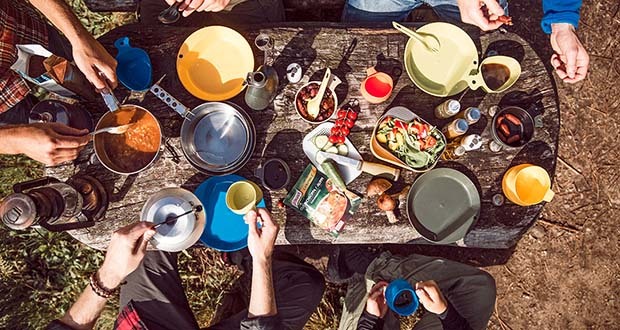 As an ode to this classic outdoor meal, we decided to take a dive into some of the gear that makes up the modern picnic basket. While this list definitely isn’t complete, it’s a step in the right direction. Enjoy! The days of paper plates and plastic forks are a thing of the past, especially with the progress of reusable and sustainable materials. Here are a couple of products to put on your radar, including Wildoo – who are making a full line of portable and packable eating and drinking products designed to fit nearly anywhere. 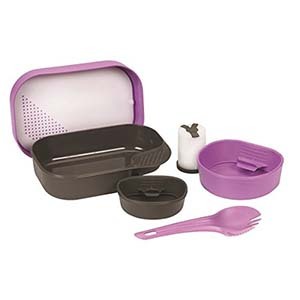 Fully equipped with everything you’ll need to eat outdoors, including a plate/bowl, cup, cutting board, shaker and spork. The Wildo Camp-A-Box is a compact meal prep and eating solution that’ll put you in charge of picnics from now on. 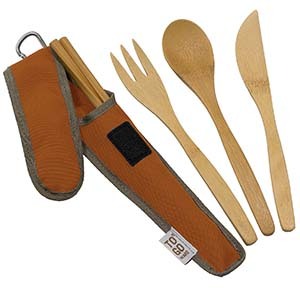 To-Go Ware has put together a pretty neat utensil set, consisting of a fork, knife and spoon – all made from highly durable and sustainable bamboo. The whole set fits neatly inside of a durable carrying case, meaning that you don’t have any excuses not to carry one. Just because you’re going on a picnic doesn’t mean that you need to throw down a checkered tablecloth and eat semi-rotting food. ALLCAMP has designed an insulated, collapsible picnic basket, featuring a frame that folds down when you’re done with it. Genius! 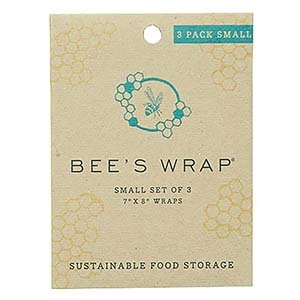 If hauling a meal wrapped in disposable plastic wrap and baggies drives you nuts, then you’ve got to check out Bee’s Wrap. 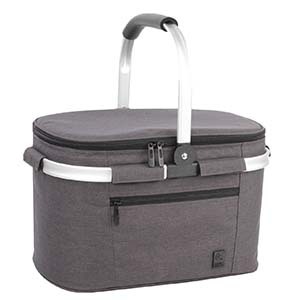 It’s made from organic cotton, beeswax, organic jojoba oil and tree resin – and will keep your food fresh for the day trip into the woods. Best of all – it’s washable, keeping it out of the landfill. 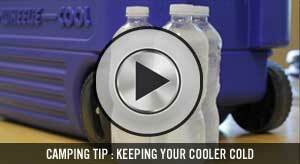 By now, you’ve probably got a favorite way to transport liquids away from home. It seems that over the past decade, more and more companies are figuring out new and innovative liquids containers that keep everything colder, drier and more ergonomic. For our picnic, we’re going to focus on two of our favorite beverages: beer and wine. No matter how much you want it to work, glass and the outdoors go together like….glass and the outdoors. It’s a bad idea. 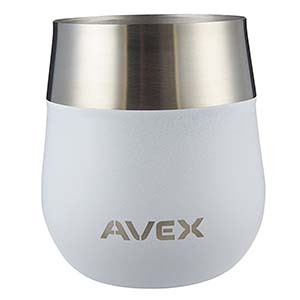 AVEX is making a full line of alcohol-specific drinkware featuring a great insulated design. The wine glass comes in a variety of great colors, and the padded base cuts down on slips and clanking. 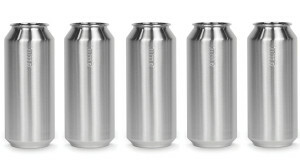 If you left it up to us, we’d always have 64oz of beer along for a leisurely picnic. The MiiR growler features double wall vacuum insulation, meaning that it doesn’t sweat – and won’t leave a mess in your bag or on your table. 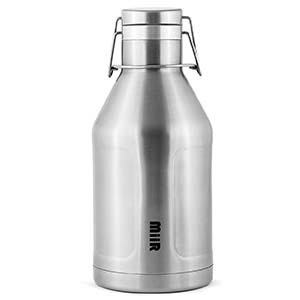 While beer is great, we’ve used the MiiR Growler for everything from water to milk – keeping everything at a perfect temperature. 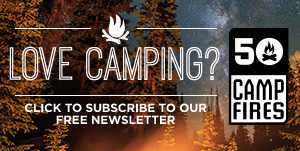 Did we mention they donate a percentage of profits to help with clean water projects? Creature comforts make any meal outside more enjoyable. You already knew that. Bringing along a handful of items to overcome even mild Spring elements is crucial to the perfect picnic. Sure, that old blanket from the bottom of the laundry pile might do the trick – but we’ve got two more that’ll elevate your meal from pic-no to pic-yes. Rumpl has built an indoor/outdoor blanket that you can take from the bedroom to picnic – with ease. This isn’t your mother’s quilt – made from ripstop nylon, the puffy blanket is lightweight, waterproof and odor and stain resistant. 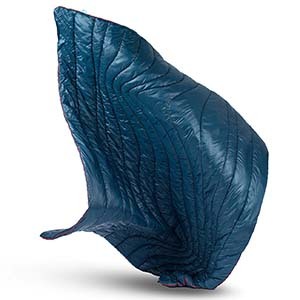 It stuffs down compactly into an included stuff sack – and will provide additional warmth on those cool evenings. You’ve planned the perfect picnic. The food would make Julia Child shed a tear. You’ve also been keeping an eye on the forecast – it’ll be a blue bird day. Your picnic is going perfect….until the sun bakes everyone out, leaving a sweaty mess of a picnic. 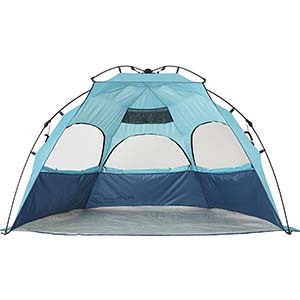 With its easy to use hub-system, the Lightspeed Laguna shelter keeps the sun and wind to a minimum – leaving you happy as a blam.